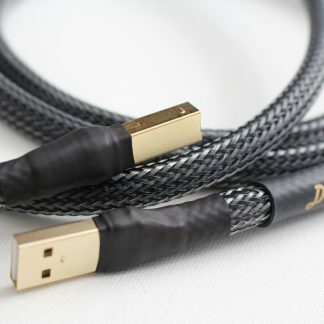 Danacable – Marketed Exclusively Worldwide by Gingko Audio, Inc.
Our Philosophy: The design, material, and construction of the Danacable™ result in very low R, C, and L measurements compared to other cables. But the proof is in the listening. 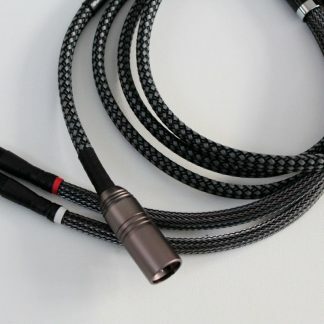 We can demonstrate how well a Danacable™ performs in listening tests using a near-real-time switchable Danacable™ Cable Comparator. In manufacturing the Danacable™, we source the best parts from all over the world to achieve the intended performance objectives. 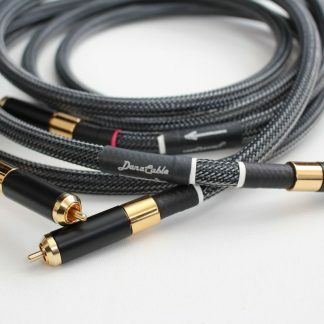 Every Danacable™ is proudly handcrafted in Colorado, USA, from larger-gauge OFC wires, using unique weaving techniques, and terminated with high-quality connectors. 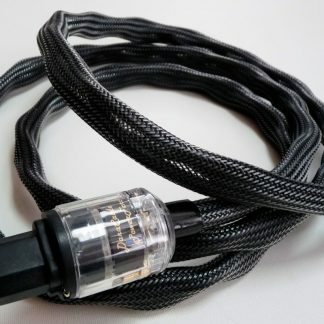 Order Process: Our stock consists of standard lengths and connectors that are specified on our product pages and come with our 30-day money back guarantee (you pay shipping). 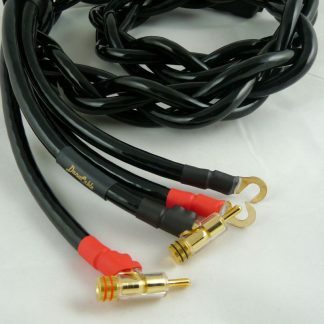 Cables of non-standard lengths and connectors are made on order and, therefore, non-cancellable. Since Danacables™ are handcrafted, our normal lead time is 3-4 weeks depending on our shop schedule and shipping time. Danacable’s Lazuli Nirvana is available for order! Read the REVIEWS or visit our PRODUCT PAGE.